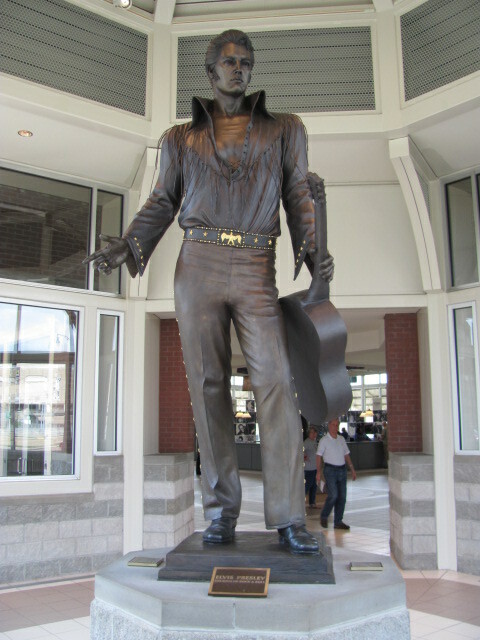 From LaGrange, GA, we headed west, through Alabama and Mississippi to Memphis, Tennessee, home of the “Blues” and also of Elvis Presley. After our arrival, we headed for the downtown area to do my “Walking Tour of Memphis.” Because of our limited time today, we only did a portion of the walking tour and then completed our initial visit with an excellent dinner of ribs at Rendezvous, a Memphis institution since 1948. 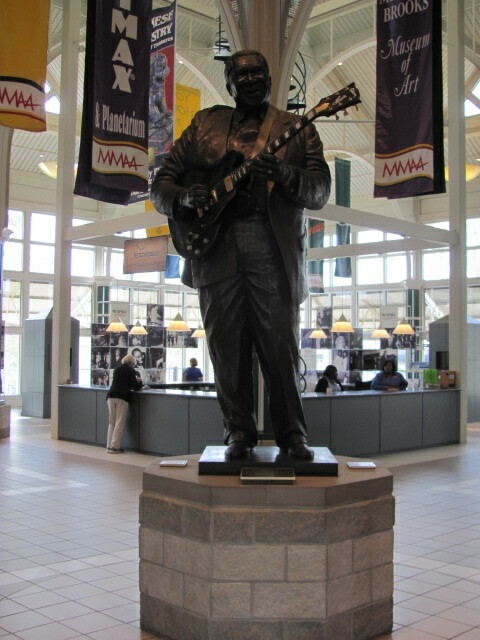 Also at the Welcome Center is one of many statues of Elvis Presley which can be found in Memphis. 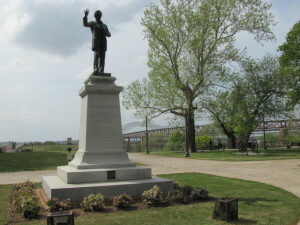 Just east of the Welcome Center is Confederate Park, a large chunk of green which features Civil War fortifications and a large statue of Jefferson Davis, President of the Confederacy. We walked south along Main Street (pedestrian and trolley-only) to Beale Street, the essence of downtown Memphis. 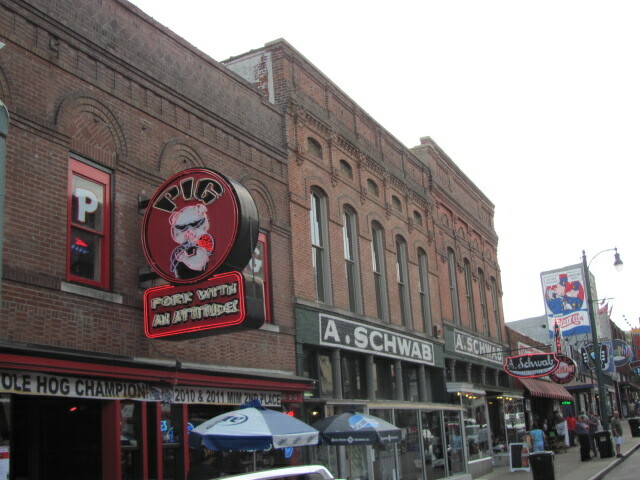 We browsed through the A. Schwab Department Store, the oldest business in the city (1876). We were actually surprised that the downtown is rather seedy, with numerous run-down buildings. It doesn’t feel like the safest place to walk around and is probably rather intimidating at certain times of the day or night. 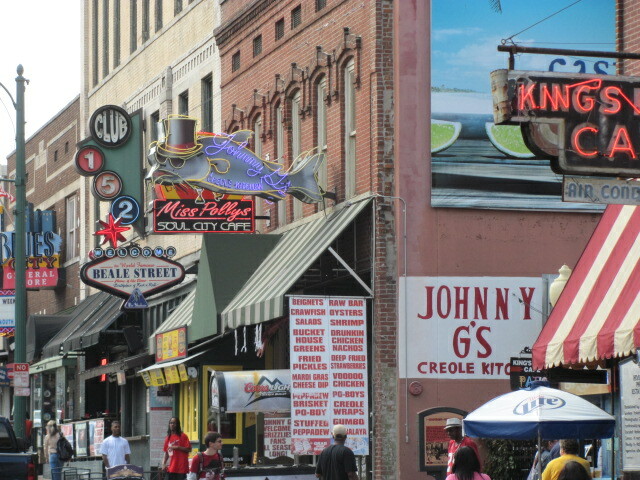 One block of Beale Street was closed to automobiles and seemed to be the most popular section with visitors.